In our two-way discussion, John Randall—VP Product Management at email security leader EdgeWave— explored why organizations everywhere are increasingly vulnerable to targeted attacks in the inbox—and they don’t even know it. And what key steps you should take to mitigate those risks. We also discuss the essential elements to blocking these attacks before they do damage and how to deliver the World’s Safest Inboxes™. 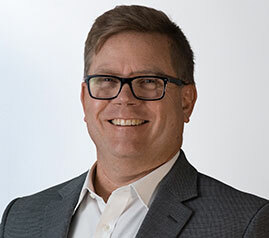 Mr. Randall, with over 20 years of experience in email and web security solution development, has deep expertise in both the anti-phishing and security awareness markets. He has spent his entire career focused on anti-phishing challenges and solutions, and is excited to share his insights and analysis. EdgeWave is hyper-focused on eliminating email-borne security risks from targeted, socially engineered attacks. Our multi-layered Email Security Platform provides unparalleled pre and post delivery inbox protection from today’s exploding messaging threats like ransomware, spear phishing, business email compromise and more. Headquartered in San Diego, CA, EdgeWave has more than 2500 customers and over 3.5 million users worldwide. Complete or edit the form below to view the recording: Modern Email Security Unleashed.